Dec - 15 | By: Oregon Film | 5 comments. 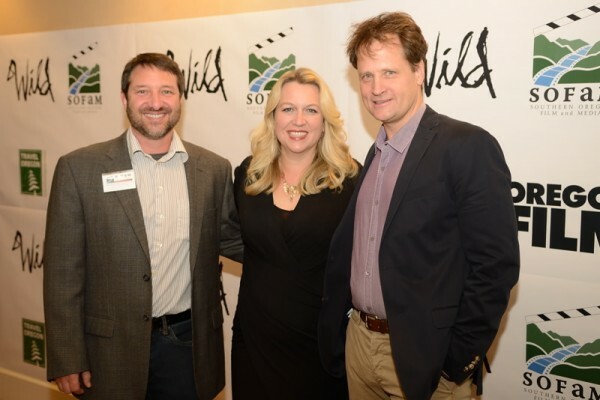 It seemed fitting that Fox Searchlight’s “Wild“, special-screened in four Oregon cities the second week in December. The screenings kicked off with the Oregon premiere of the movie at Cinema 21 , Portland. Reese Witherspoon (nominated for a Golden Globe for Best Actress), Laura Dern, Jean-Marc Vallée , and of course local Portlander and inspiration, Cheryl Strayed, were on hand to introduce the movie to a packed house, as well as an introduction from Tim Williams, Oregon Film’s Executive Director. 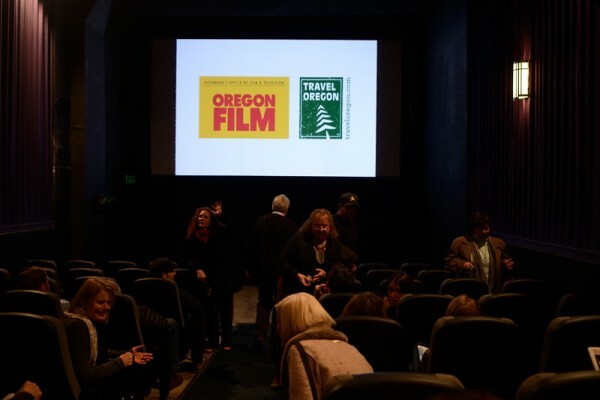 Oregon Film partnered with Travel Oregon, and Fox Searchlight to bring other, invite-only screenings, to Salem, Bend and Ashland. 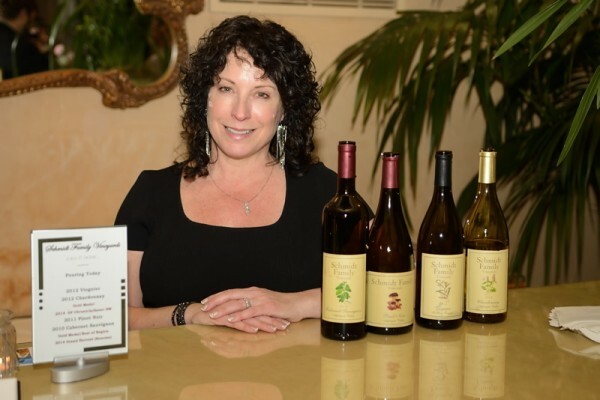 Attending each screening, were city and state officials, local crew, production professionals, and business owners that had helped in the making of “Wild” – all were enthusiastic about seeing the film. Cheryl Strayed was able to be in Ashland to introduce the film – especially poignant as Ashland was a featured location in the making of “Wild” and an important stop in Strayed’s book. “Wild” shot in more locations throughout the state than any other feature to date. 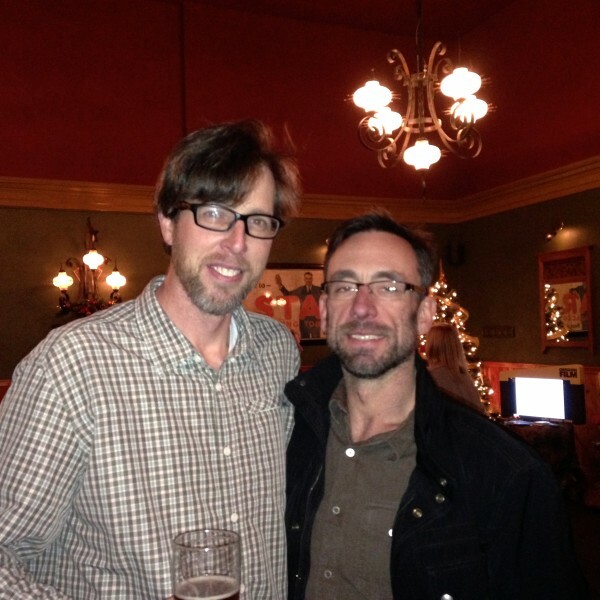 In Bend and Ashland, we partnered with Todd Looby from BendFIlm and Gary Kout,from SOFAM respectively, to bring screenings to those cities. Other important sponsors who aided in making the statewide screenings a success were: the Laura Russo Gallery, Vista Hills Vineyard, Salem Cinema, Base Camp Brewing, Adelsheim Vineyards, Gran Moraine, Oregon Winegrowers Assoc., St Innocent Winery, Faith, Hope and Charity, McMenamims Old St. Francis School, Ashland Springs Hotel, Schmidt Family Vineyards and Southern Oregon Winery Assoc. and Vance Family Candles. A big thank you to all. 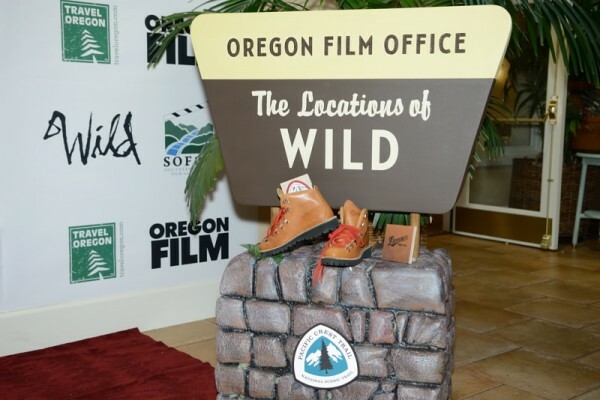 “Wild” already rolled out in Oregon theaters, and will go nationwide December 25th. Below are some links to the great press “Wild” has been receiving, and most recently 60 minutes with Reese Witherspoon. Setting up the “trail” carpet at the LA Premiere! 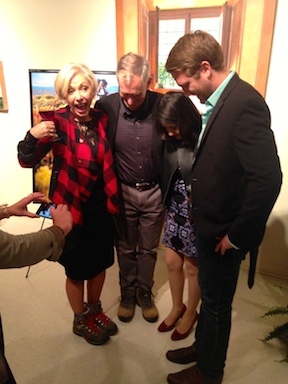 Mayor Charlies Hales and wife Nancy sporting Danner red laces at the Portland pre-screening party at the Laura Russo Gallery. 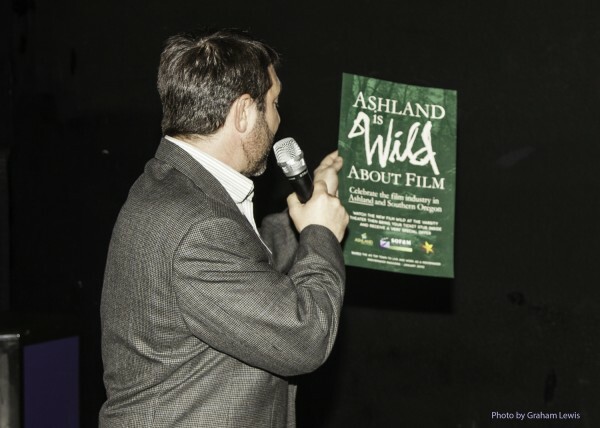 Gary Kout introducing the “Wild About Film” campaign in Ashland.